Other faith communities are a growing and significant presence in Chester Diocese. The well-established Jewish and Muslim communities in Trafford, Stockport and Tameside have now been supplemented by growing Muslim communities in many of our towns, and smaller numbers of Hindus and Sikhs. There is also a growing interest in eastern spirituality, especially Buddhist, amongst people of no faith. In addition many of us have contacts with people of other faith traditions in the workplace, at school or in health care. The biblical command to “love the stranger” (Deuteronomy 10:19) encourages us to make and model good relationships with people of other faiths, especially at times when there is suspicion and anxiety about difference and diversity, and where many of those of other faiths feel vulnerable and isolated. In a culture where public faith is often disparaged the faith communities can together witness to its importance, and co-operate on projects that serve and seek the welfare of the places where we live. As Christians we need to understand the common ground which we share, respect the real differences, and be able to give account of our own faith in Christ in a relevant way. 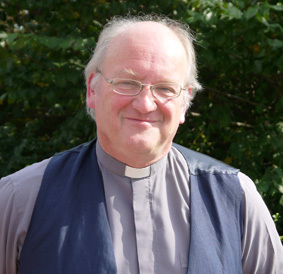 The Diocesan Interfaith Advisor Roger Clarke (appointed in 2014) is available to assist churches explore and engage with other faith communities, and is creating a network of people with appropriate skills, expertise and interests in this area. He can provide examples of training and teaching resources, and is happy to visit parishes, clergy chapters and deaneries to speak and to help them engage with interfaith issues. He is keen to hear from and build up a network of people with experience and interests in this field.